Thailand has been suffering from ongoing political turmoil after the military coup d'état in 2014. Freedom of speech is restricted, and the activities of write and artists are therefore constantly surrounded by difficulty. Uthis Haemamool, winner of the Southeast Asian Write Award in 2009, is one of the artists who has vigorously continued his activities under these conditions. His works, which are essentially an exploration of his own fertile imagination, are not merely political in nature but rather have continued to confront universal questions. We asked Uthis about a range of topics including his background (which is not widely known in Japan), his latest full-length novel Silhouette Of Desire (tentative) that offers a fascinating account of the contemporary political landscape in Thailand, and his collaboration project with theater director and author Toshiki Okada. Born in 1975, Kaeng Khoi, Saraburi Province, central Thailand. Received his BFA from the Faculty of Painting, Sculpture and Graphic Arts, Silpakorn University. Uthis became widely known for his third novel, Lap Lae, Kaeng Khoi [The Brother Hood of Kaeng Khoi] which won him the Seven Book Awards and the S.E.A. Write Award in 2009. CNNGo rated him as one of the people who mattered most in Thailand in the same year. He was invited as one of lecturers in the artist workshop "Work in Memory" at Kyoto City University of Arts Art Gallery @KCUA in 2013 with filmmaker Apichatpong Weerasethakul. In the workshop, he was inspired by six Japanese artists and published a novelette Kieoto Son Klin [Kyoto: Hidden Sense]. 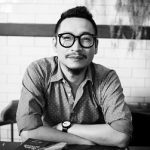 He served as Editor in Chief of two contemporary Thai literary magazines, Writer Magazine and Prakod from 2014 to 2015. The latter was funded by the Office of Contemporary Art and Culture (OCAC), Ministry of Culture, Thailand. Uthis has written six novels, three collections of short stories, five collections of literary criticisms, and two collections of movies criticisms. 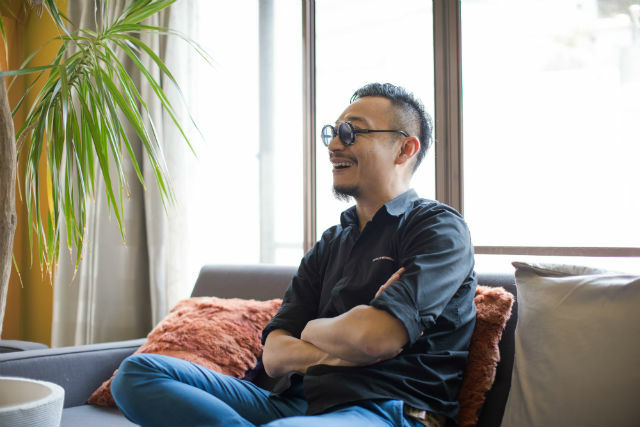 Sho Fukutomi (hereinafter Fukutomi): If I describe Uthis Haemamool as a writer who represents contemporary literature, I imagine not many people in Thailand would object. In Japan, however, even though people may have an interest in you as an author, there is a lack of information available in Japanese or even English. I would therefore like to ask a few questions about your personal life in this interview today, and hope this talk will also serve as a "handbook" about your life and work for the Japanese public. First, how and why did you decide to take up the profession of writing? Also, could you provide some insights into the writings you have published thus far, projects you are involved in at present, and topics you would like to write about in the future? I would like to hear about your past, present, and future. So, perhaps to start off, could you tell me when you first took an interest in writing? Uthis Haemamool (hereinafter Uthis): When I was a child, I was more interested in drawing pictures. My interest in writing came later, around the time I was in fourth grade in elementary school. I started writing in homework notebooks, and completely neglected my homework [laughs]. That often got me in trouble. By the time I moved up to fifth or sixth grade, I took part in a painting contest in our district as the school representative, and I won some kind of "honorable mention" prize. In junior high school, I felt a clear desire to pursue painting. Art was the only subject for which I obtained excellent grades. For that reason, I decided to enter an Industry and Arts Course, which allowed me to select art subjects. While learning the foundations of engineering, I also studied art. My grades in art got progressively better, and one of my works was exhibited at a painting competition, this time at the provincial level [laughs]. That was when I made up my mind to study art. Because there were no places to study art around my hometown, I graduated from junior high school and advanced to a vocational high school in Korat, which is situated in the northeast of the country. I majored in art for three years at the school. Once I graduated from the vocational high school, I had the option of either moving to a technical degree program for another two years of study, or enter university. My high school teacher told me he believed I could go further, and recommended I go to university. *1 The leading national arts university in Thailand. I failed the examination in the first year [laughs]. That prompted me to return to my previous school, and start the technical degree program for a while. The next year, I took the entrance examination for the Faculty of Painting at Silpakorn University, and passed this time around. Accordingly, I dropped out of the vocational high school and entered university. If my memory is correct, that was in 1994. The program at Silpakorn University spanned five years. During those five years, I also worked part-time as an assistant for advertisement shoots and by creating stage props. That is how I supported myself. Fukutomi: Did you receive an allowance from your family? Uthis: No, my family did not have the means to support me. I should also mention that my family did not approve of me studying art in the first place. When I planned to advance to the vocational school, I got into an argument with my father. He wanted me to become an engineer. That said, my mother did send me allowance in secret during my high school years. However, that became unnecessary once I entered Silpakorn University. I had my own income, and since I lived in a university building, food and accommodation were also taken care of. Silpakorn University in a sense became my second home. I lived there in a group with other students from the same faculty. I stored my works at the university, lived there, and worked there day and night. At the time, an educational loan fund had been established, so I applied and managed to receive a scholarship loan from the government, allowing me to cover my living expenses and tuition. At that time, I had yet to seriously consider writing as a profession, but I had been reading books from around the age of fifteen, when I was still in the vocational high school. Mainly pure literature that was heavy in nature. For example, I bought and read works from Fyodor Dostoyevsky and works such as Gabriel García Márquez's One Hundred Years of Solitude (1967). Fukutomi: Did your family enjoy reading? Uthis: Not at all. My family did not read books [laughs]. The practice of reading encouraged me to produce art. I read poetry and tried to learn about the lifestyle of artists. Around this time, I started keeping a diary and also wrote down monologues in the form of poetry. When I studied at the vocational high school, there were various bulletin boards in the school building, and I had exclusive access to one of those. I used to write poetry or illustrations and post them on the bulletin board. Other students would pass by, stop, and read them. This was the starting point for me in terms of expressing my thoughts in writing. The timing of my departure from the visual arts coincided with my university graduation production piece. At the time, I created an installation artwork that evoked questions about art boundaries and possibilities. I wondered about the possibilities of artworks that not only existed in a two- or three-dimensional world: how to connect art with ideas themselves. I was entirely consumed with the world of ideas at the time, and created many conceptual works. However, I had not yet found a clear vehicle through which to express my ideas. I only figured out that painting was not that vehicle. While installation and video art seemed to address my problem, I was poor at the time [laughs]. Using such artworks as a container for one's thinking or imagination requires massive funding. Although I was poor, I wanted to create something significant. To continue creating art, I first had to earn money. For that reason, I participated in the production of a Thai film as an artistic director and earned money that way. After I returned from the project, I finished my graduation production and graduated. At the time, I was interested in films and wanted to create my own film so I applied for subsidies and sent my own screenplays to movie companies and cultural exchange organizations such as Alliance Française. That is when I started writing in earnest. I wanted to create a film based on a story I had created. I had to write the screenplay in the form of a story. Prior to that, I also wrote critical movie reviews in magazines. I suspect that was the first time I got paid for writing. Fukutomi: Did you watch films at movie theaters at that time? Uthis: I would mostly watch movies at events organized by cultural exchange organizations such as the Alliance Française, the Goethe-Institut, and the Japan Foundation. That was also the time when I met Sonthaya Subyen from DK Filmhouse (Filmvirus). *2 I watched a movie at a location where he held screening events and we all had fun together. I also met Apichatpong Weerasethakul. He was trying to put together the shooting team for Mysterious Object at Noon (2000). I met all these individuals before their careers got off the ground. *2 Film screening organization and publisher established in 1995. DK Filmhouse organized screening events for films that otherwise received little exposure in Thailand. Sonthaya Subyen is the representative of the organization, and a well-known film critic in Thailand today. My desire to create art increasingly grew bigger. And the artworks that I wanted to produce always exceeded my own budget. The costs associated with producing movies ran in the millions of Thai baht, which was out of my reach. I believe that was around 1999 and 2000. After I graduated, my scholarship funds disappeared and I was left without a penny. I was even four to five months behind on my rent [laughs]. I was seriously thinking about how I could continue art and achieve my desires. There was no sign of realizing my goals and I felt I may have to consider a different way of life which was a thought that filled me with sadness. But I somehow got into the habit of capturing this extreme sadness in writing. I started creating stories of these notes, and sent them to magazines. To my astonishment, I found that my submissions were published [laughs]. This gave me confidence, and prompted me to start writing short stories. All the stories I was sending in seemed to get published, and that gave me even more of a confidence boost. Since the scope of my creative desire was impossible to realize, I picked up a pen and started writing stories, and this activity allowed me to take a closer look at myself. Although I found myself wanting to do various things when I looked into the distance, when I looked down, I found myself holding a pencil or a pen and writing stories. The practice of writing had been with me for many years, since I was fifteen years old. This is when I noticed that you can convey anything through writing. The short notes that I write need not be transformed into installation art or films. The process of writing is complete in itself. What I wished to convey through art were feelings that persist through time. This was something I was not able to convey through the medium of painting. In movies, it is possible to transmit the continuous nature of time. Using a different method, this can also be achieved in the writing of a book. Writing books does not require millions of baht, but can be created with just a pen and a notebook. With these simple means, you can create something great on a piece of paper. This was the starting point for me to use writing as a means of expressing my desire for creation.